U.S. states and localities’ unfunded pension liabilities — estimated at more than $2 trillion — could soon result in lower credit ratings for many governments, according to Reuters. Moody’s Investors Service, the Wall Street credit agency, is considering new rules that could affect governments’ credit ratings beginning this fall. Moody’s is seeking public comment through the end of August on proposed changes in how it treats pension liabilities. Some of the changes are in line with new accounting rules for pension funds approved in June by the Governmental Accounting Standards Board (GASB), an independent board that recommends financial and reporting standards for state and local governments. 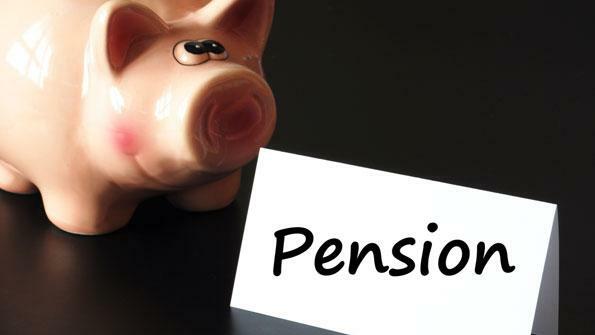 Moody’s proposed changes include revising the rate used to calculate pension liabilities. That would cut the discount rate used to calculate pension liabilities from about 8 percent to 5.5 percent. The result would be to significantly increase a state or locality’s assumed pension liability. For example, a plan with a $10 billion liability based on an 8 percent rate would see that amount leap to $13.56 billion if a 5.5 percent rate were used, according to Reuters. GASB approved new accounting standards that for the first time require governments providing defined benefit pensions to recognize the long-term obligations for pension benefits as a liability. The rules also require governments to improve reporting about the costs of pension benefits in financial statements and other documents. The changes are likely to hit local governments particularly hard. Moody’s estimates that the total pension liabilities for fiscal year 2010 were more than three times the amount reported by local governments. American City & County just got thru anointing Toni Preckwinkle as County Person of the Year. I would like to present Cook County’s ledger. Pensions are 66.4% funded, which is “commendable?” in comparison to the other governments under her tutelage, but the rest of the county’s figures are frightening. Her Gross Operating Budget is $2.9 Billion, offset by Total Debts & Liabilities of $6.6 Billion. The $6.6 Billion is comprised of $4 Billion of Total Unfunded Pension Liability. Our 2nd tax bill installment is due on August !st. Needless to say, it has gone up while our property values have declined. 60% of Evanston’s deficit (where I live) consists of Pension Liabilities to the tune of $205 Million, and Evanston just received a AAA Rating from Moody’s and Fitch? Most of the other taxing bodies on our bills are also losers in this category. In closing, the “prize” here in Cook County goes to the City of Chicago, whose debt & liability to operating budget ratio is 5 to 1, and unfunded pensioning is at 44.9%. I think that American City & County needs to revise their selection process!